Cinematographers have one of the most essential jobs in any film production: bringing a director's vision to life. Considered amongst the best cinematography schools in the world, the New York Film Academy is training the next wave of cinematographers. NYFA’s curriculum refines student’s artistic and technical expertise through hands-on experience creating films with industry-standard cameras. In our intensive one-year program, cinematography students learn more in less time. 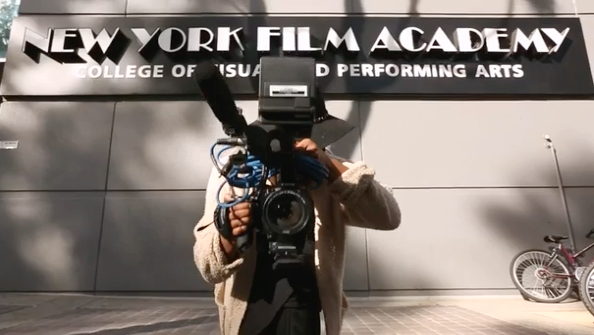 The New York Film Academy (NYFA) 1-Year Cinematography Program is a two semester, conservatory-based, full-time, non-degree program. This means students will work at an accelerated rate, with maximum commitment, as they develop new skills and create a body of work. The curriculum is designed to immerse prospective cinematographers in all aspects of the discipline. NYFA provides a creative setting to challenge, inspire, and develop the talents of aspiring cinematographers through intensive curriculum. Whether our cinematography students are seeking to forge a new life path as cinematographers or are already experienced and are seeking to update their skill set, our courses in the fundamentals of exposure, composition, set-etiquette and lighting will push them to develop new mastery by the end of the year. NYFA’s philosophy of learning by doing means that our one-year cinematography students develop their technical skills and artistic identities through a dynamic combination of classroom experience, practical hands-on workshops, individual and collaborative projects, and instructor-led productions. Cinematography students collaborate with their peers on active film sets and are encouraged to develop their networking skills by seeking out additional project work with their peers in the filmmaking program. This is a rigorous program of classroom study, self-directed projects, and instructor-led workshops. Upon graduation, students will be proficient with many state-of-the-art camera systems and able to confidently supervise the creation of sophisticated lighting schemes. Most importantly, they will be able to effectively harness the visual tools of cinema to tell meaningful stories. In the first semester of the 1-Year Cinematography Program, students will develop their lighting and cinematography skills for a number of formats including still photography exercises, 16mm film, and high-definition video. Students will photograph at least four individual projects, allowing them to practice their skills in the field as they develop the ability to tell stories visually as they learn the fundamentals of the art and craft of cinematography. Hands-on classes will cover topics in optics, light metering techniques for both incident and spot meters, loading and utilizing 16mm and HD video cameras, basic lighting, fundamentals of composition, color theory, film chemistry, and camera movement using the basic dolly. Cinematography students will create several original projects during their first semester, including a mise-en-scène film photographed in black & white on 16mm film. Next, the continuity project provides the first opportunity to work with color as a creative element, and students will focus on shot design as they create a scene that can be cut together according to the rules of classical continuity editing. Following this, students will use a digital camera to shoot a montage project where the students employ nonlinear storytelling techniques to tell a story or convey a message. Design and execute images specific to narrative productions. Demonstrate technical control over the basic elements of photography, including exposure, lighting and composition. Develop an understanding of collaboration between the cinematographer and director. Prepare basic pre-production materials to support the production of a short film. 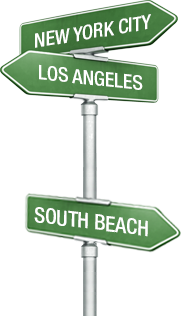 Demonstrate basic skills in the roles of camera assistant, gaffer and key grip. Explore the progression of technology and broad artistic trends throughout the history of filmmaking. Successfully complete a variety of short film projects, managing each project through the pre-production, production and post-production phases. Photograph a minimum of four projects using still photo cameras, 16mm film and digital high-definition cameras. Crew on colleagues’ films in key creative positions including gaffer, key grip, camera assistant, and camera operator. In addition, students also complete a cumulative final film project for semester one. Semester two builds in complexity, introducing 35mm and advanced Red digital camera systems, as well as more advanced lighting and grip instruments. As students’ ability increases, so does their tool set. As the students explore an expanded range of equipment, they are expected to exhibit more precise control of all the tools available to them. Students will be expected to demonstrate a consistent visual approach while making choices designed to tell the story visually. Students collaborate with filmmaking students and support their classmates’ projects by working in key crew positions to gain additional experience. Semester two cinematography students learn how to assemble and operate professional 35mm camera packages and advanced Red digital cinema equipment. Instructor-led productions mentor students on these new systems in the field, with a focus on professionalism and industry-standard set operations. Students will have photographed additional projects for their showcase reel by the end of the second semester, including the semester one final, a Point of View project, and the semester two final. Students will have multiple opportunities during class time to master the extraordinary tools the Red camera offers, including speed-ramping in camera, slow motion at high frame rates, and a RAW image workflow. During the semester, students will photograph two projects outside of class with the advanced cameras now available to them, including the Red Epic Dragon and the 35mm film format, with potential opportunities to collaborate with filmmaking students on their final projects. Together these projects will contribute to a professional cinematography show reel that incorporates their best work. Demonstrate the ability to collaborate with a director and a crew in a high-pressure creative environment. Demonstrate safe and effective use of a wide array of professional camera, lighting and grip systems, and utilize these tools effectively in the production of several short projects. Utilize a production workflow that allows the creative team to maintain control over the image through all phases of production, from principal photography through to final distribution. Analyze a screenplay from the perspective of a cinematographer. Utilize color correction tools to achieve the cinematographer’s visual goals. Shoot a 2-5 minute POV project in sync-sound on the Red Dragon. Shoot a final film, a sync-sound narrative film of up to 15 minutes, on Ultra HD, 16mm, or 35mm. Shoot a 1-Year Filmmaking Program student’s thesis project on Ultra HD, 16mm, or 35mm. Participate as a crew member on fellow students' films and group projects. Color-grade Ultra HD, HD, 16mm, and 35mm. The cinematographer's working units are image and light within the frame. This course explores the foundation skills of photography including the use of light and composition. Students use stills cameras to develop their understanding of photographic elements and how to paint with light. Shot composition, light, lenses and camera movement are central to the cinematographer's role. This course explores the aesthetic understanding of the cinematographer's work. Analysis of classic and contemporary cinematographers' work complements the understanding of universal photographic design principles. In this class, students learn to operate 16mm & 35mm cameras, using a range of lenses and film stocks. Students begin with the Arriflex-S 16mm camera and move to the Arriflex SR and Panavision 35mm. Students compare formats and explore the benefits and limitations of each. The students train to operate 16mm & 35mm cameras at a highly proficient level. In this course, fundamental skills in lighting for tungsten stock and interior lighting scenarios are taught. Students use a range of tungsten film stock, exploring the possibilities of shooting interiors with a selection of different lighting set-ups. Editing is an art unto itself. Regardless of the editing system a filmmaker uses, it is the editor's ability to work with the shots and tell a story that makes all the difference. Students learn to use the digital editing system. Each student edits his or her own films, and can supplement classes with individual consultations at the editing station. Students are taught the concepts of film editing, both practical and aesthetic including color grading. Classes consist of lectures and tutorials that combine technical information and demonstration. Students develop their lighting skills using 16mm and 35mm film. Equipped with a range of cameras, students test various daylight film stocks and exterior lighting scenarios to understand the benefits and limitations of shooting outdoors. The Director of Photography is dependent upon a great camera crew to bring the Director's vision to life. One of the entry positions into the camera crew is the Assistant Camera role. This course explores essential skills and procedures that every camera assistant must know to progress in his or her career. A major advancement in cinema took place when the camera could move freely through a location. The Steadicam has become a permanent fixture on contemporary films sets. This course enables students to explore the practical application of the Steadicam and its functions. The screenplay is the architectural blueprint for a movie. The cinematographer should understand thematic concerns of the screenplay to bring the subtext and drama to life. In this subject, cinematographers study a range of screenplays and explore how professional cinematographers visually bring the content of the screenplays to the screen. Students are trained to operate high-definition cameras including the Panasonic HD and RED Epic cameras. Students learn the roles of the camera crew, the benefits and limitations of each camera, formats, lenses, shutter speeds, focal lengths, and more. Each class is taught using hands-on exploration of the cameras with students learning to become proficient with the high-definition format. Incorporating lessons from the previous semester, students explore framing and camera movement. The cinematographer's art lies in the creation of an image that captures the mood and emotion of a scene. In this subject, students explore a range of lighting techniques for the high-definition format. Students use the tools to light feature films. Lighting techniques incorporate the creation of mood based on theme, emotion and tone in a screenplay. Areas such as image systems and metaphors are explored. Lighting for television can require different skills than feature films. This course explores the range of lighting techniques for television including; dramas, sitcoms, gameshows, and news programs. Students participate in hands-on classes and light a range of different genres and formats. This course introduces cinematography students to the language and craft of directing. From screenplay analysis to shot composition, students learn how Directors and Cinematographers collaborate to achieve a complete vision. Students explore the aesthetic elements of mise-en-scene, shot choice, composition, setting, point of view, action of the picture plane, movement of the camera, how to cover a dialogue scene with a series of shots, as well as more sophisticated approaches to coverage including the use of dollies. Students break down scenes from selected screenplays to practice a variety of approaches.